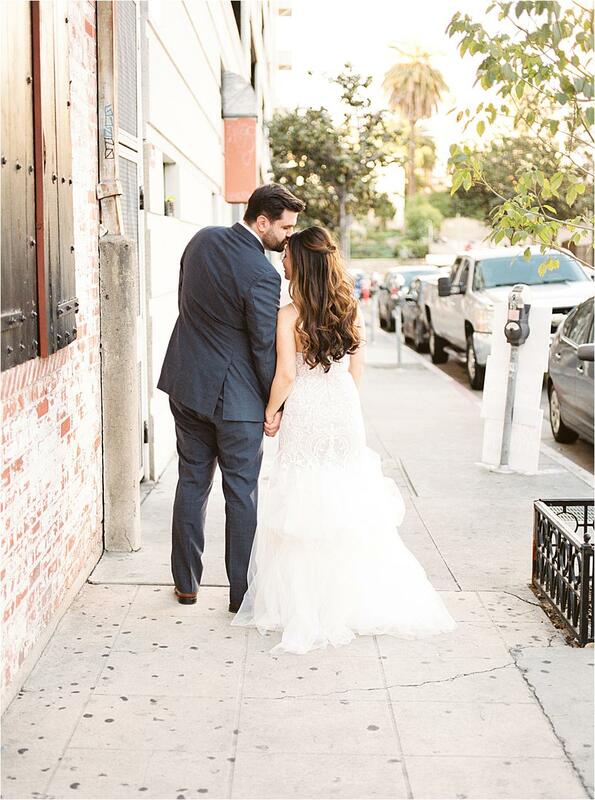 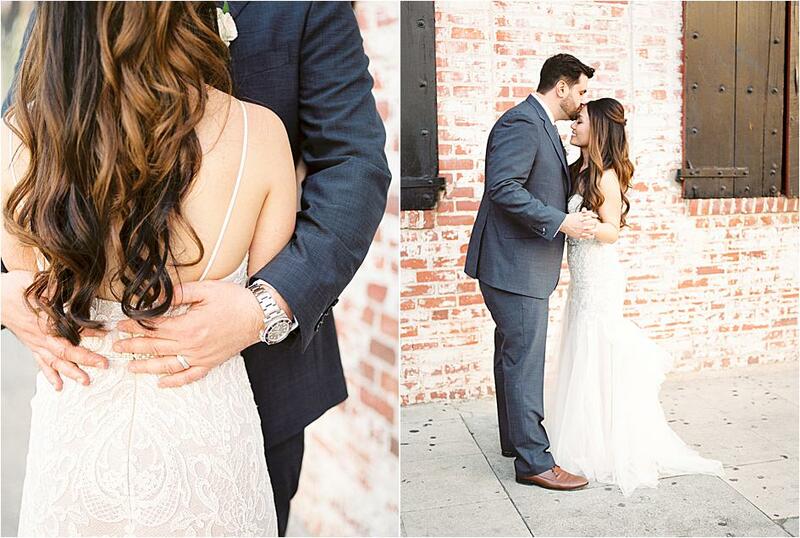 Lori and Nick met while they were working for the same company in San Diego and were later engaged when Nick popped the question during a romantic evening on Venice Beach. 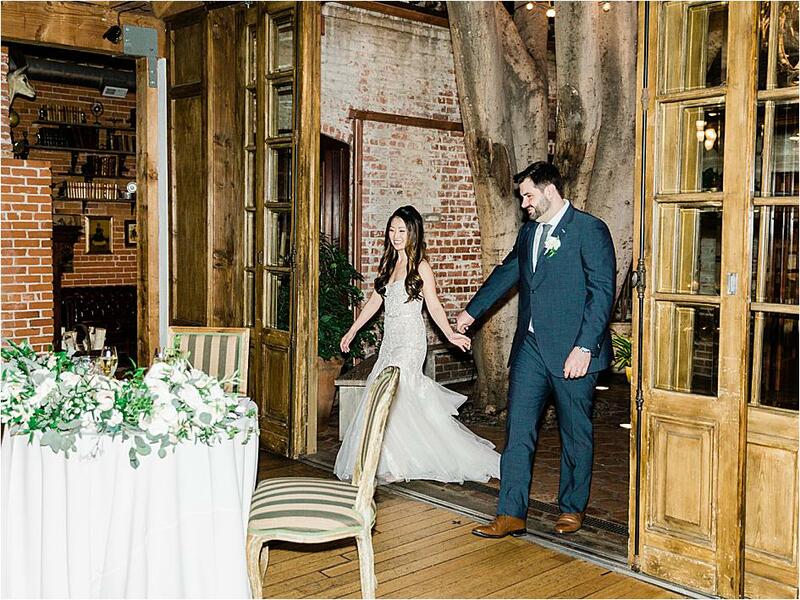 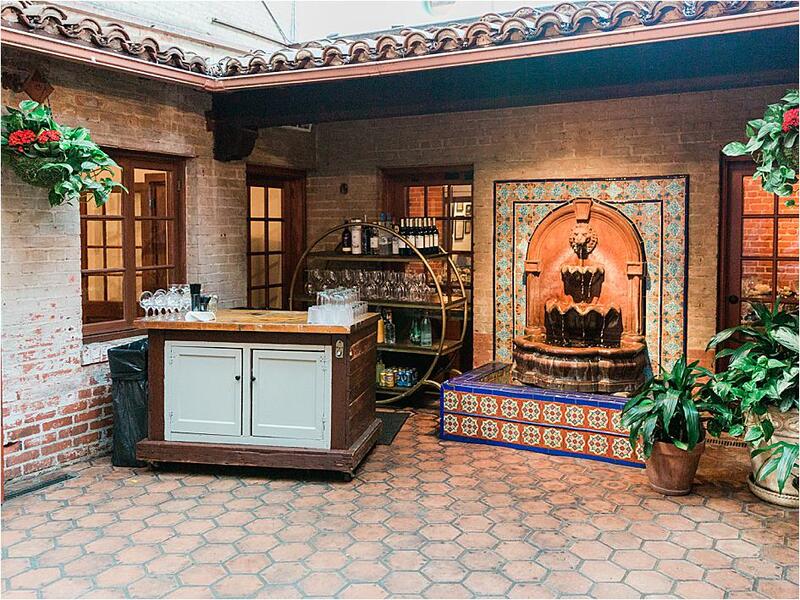 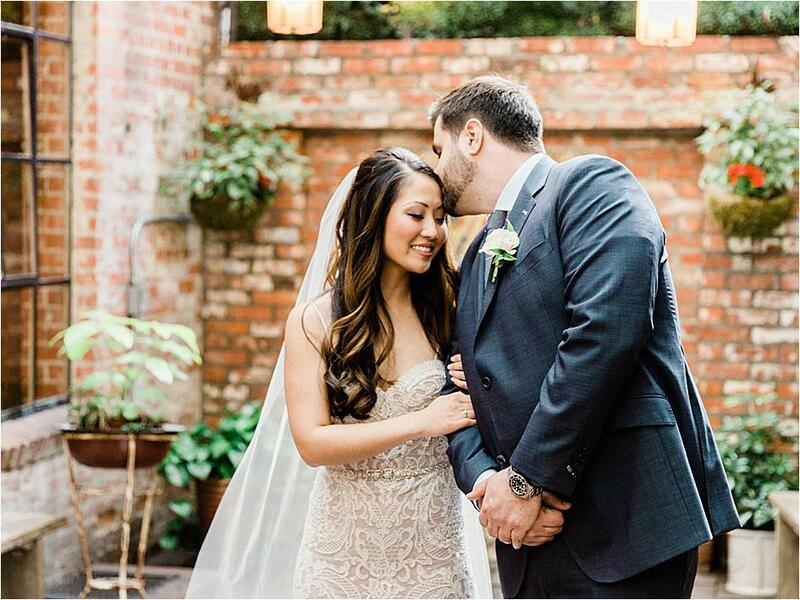 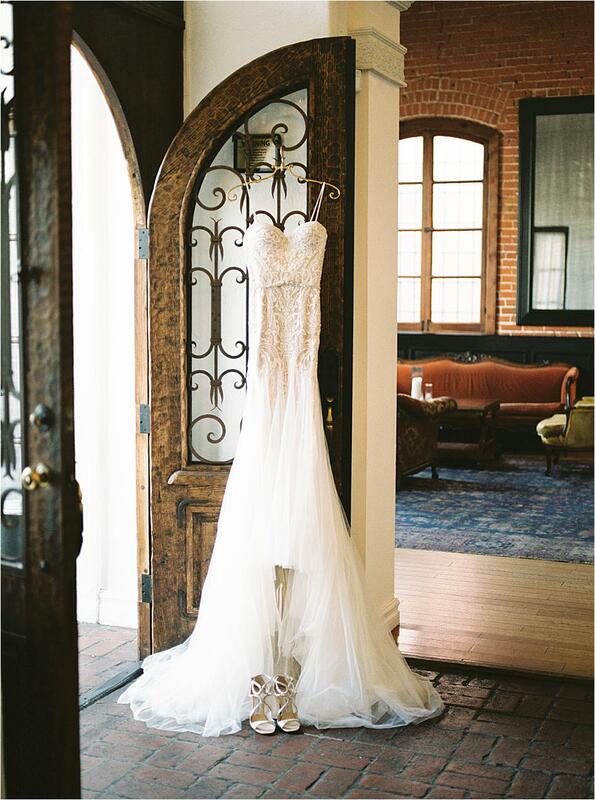 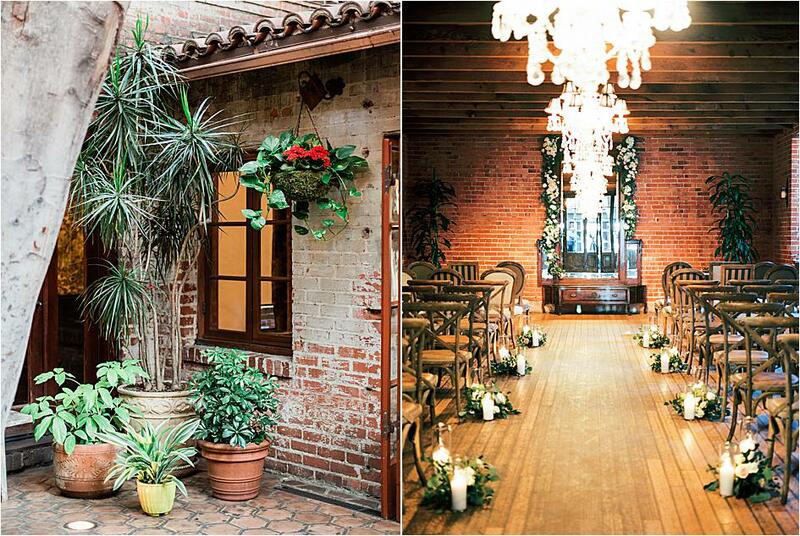 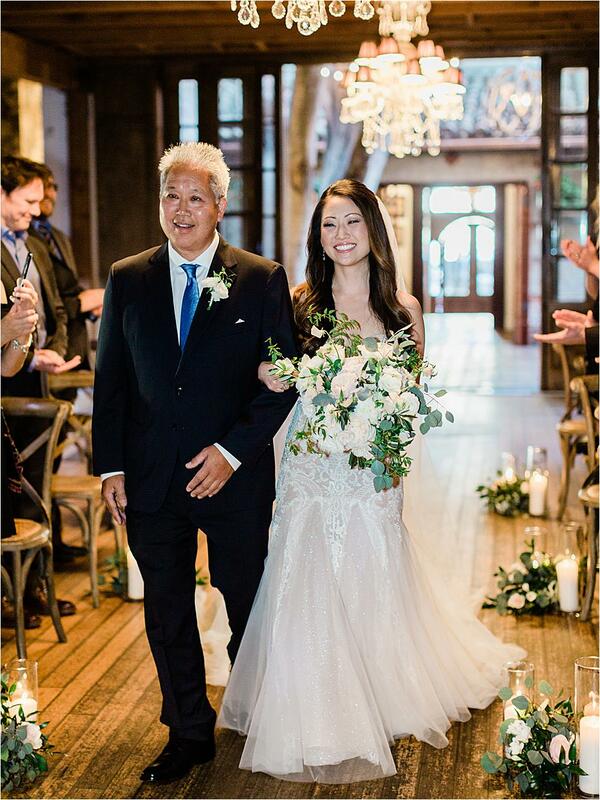 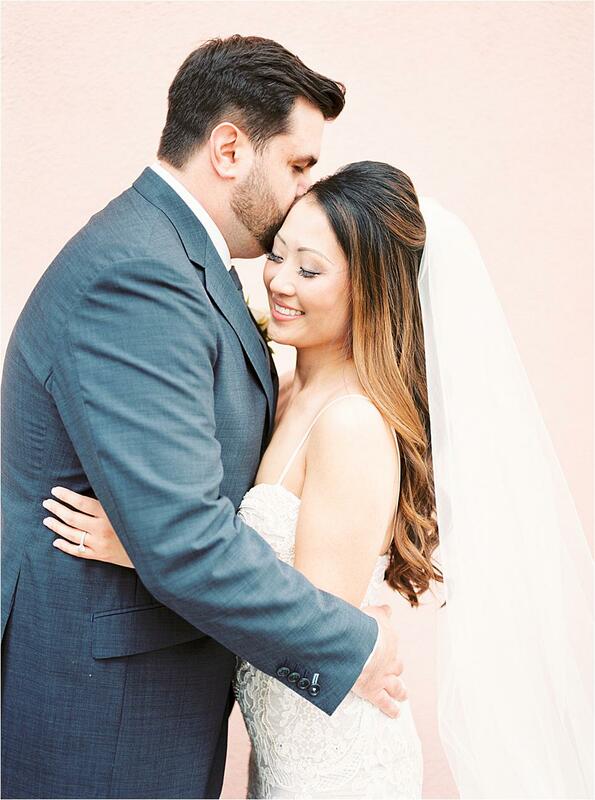 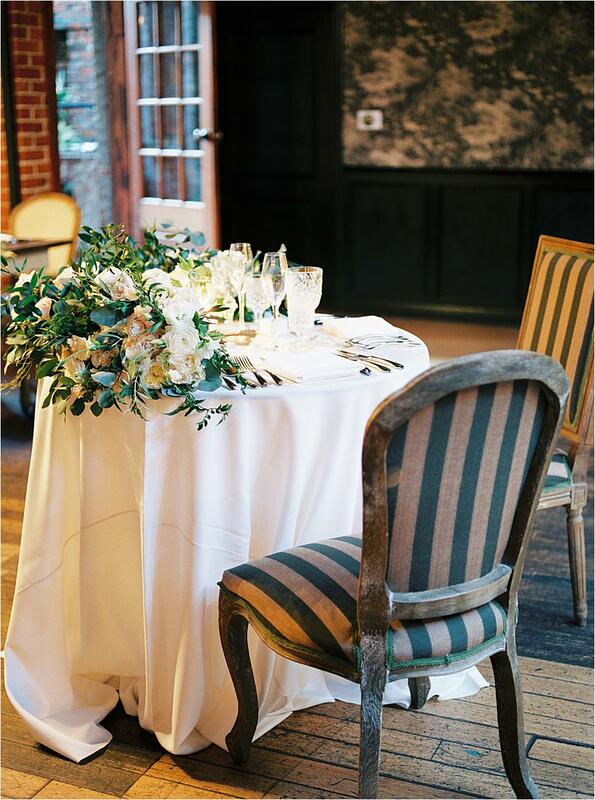 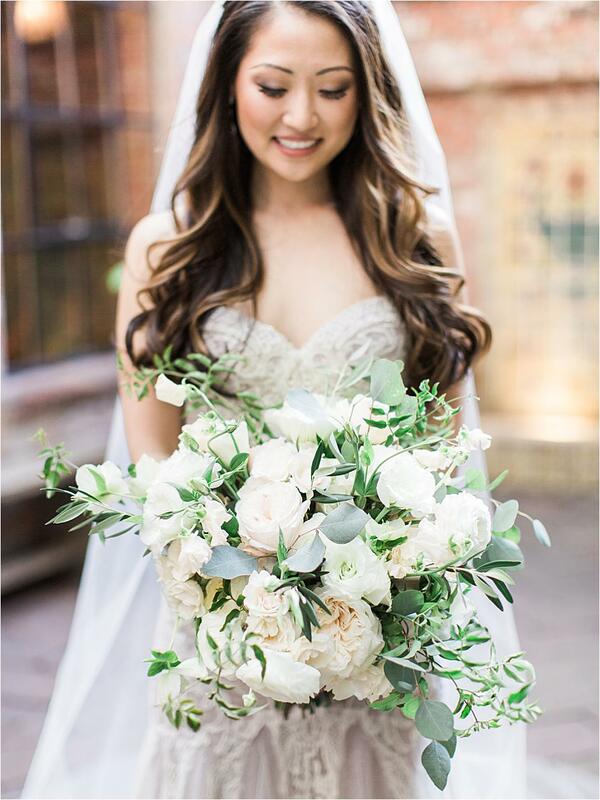 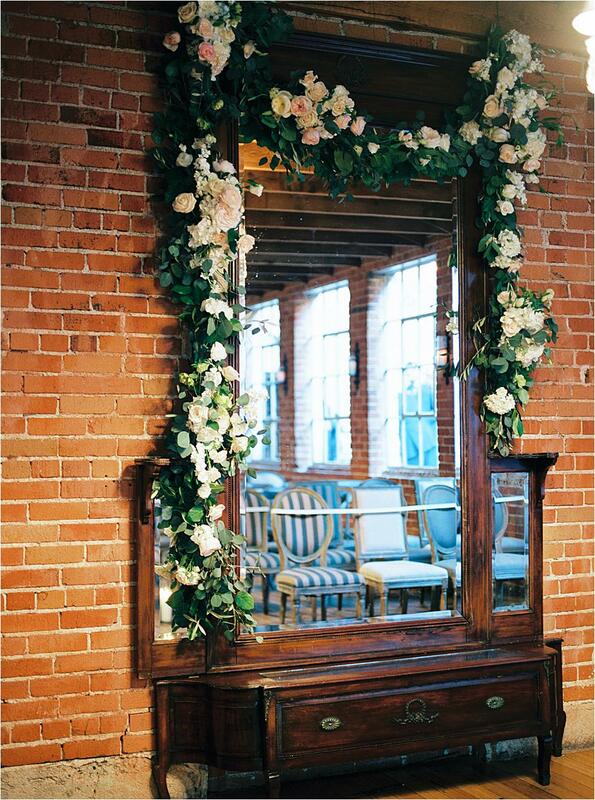 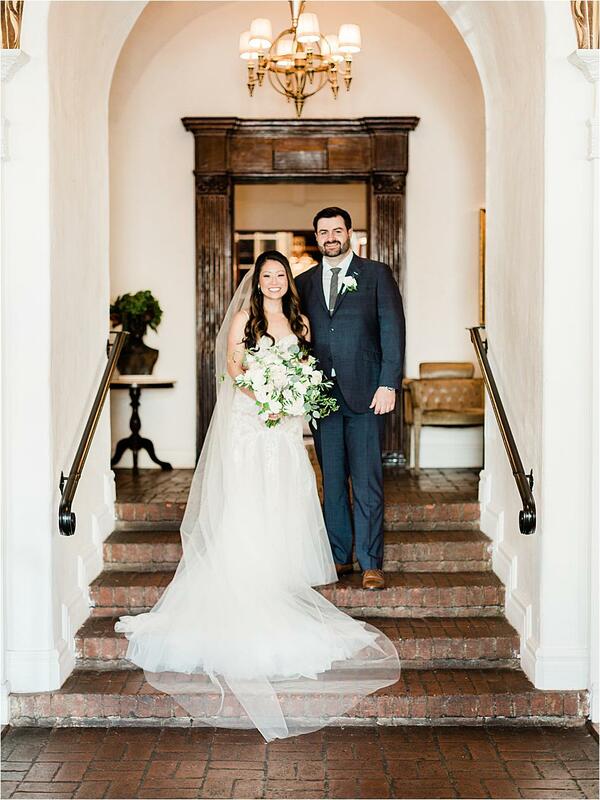 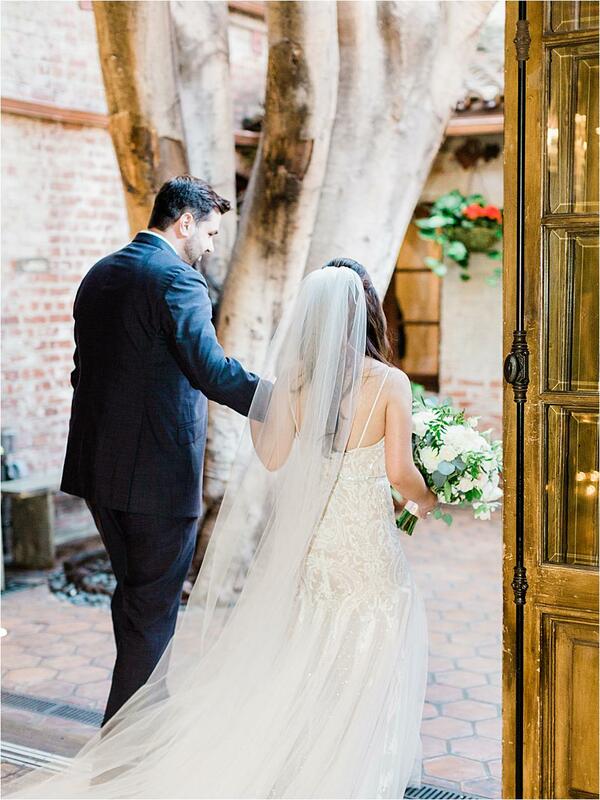 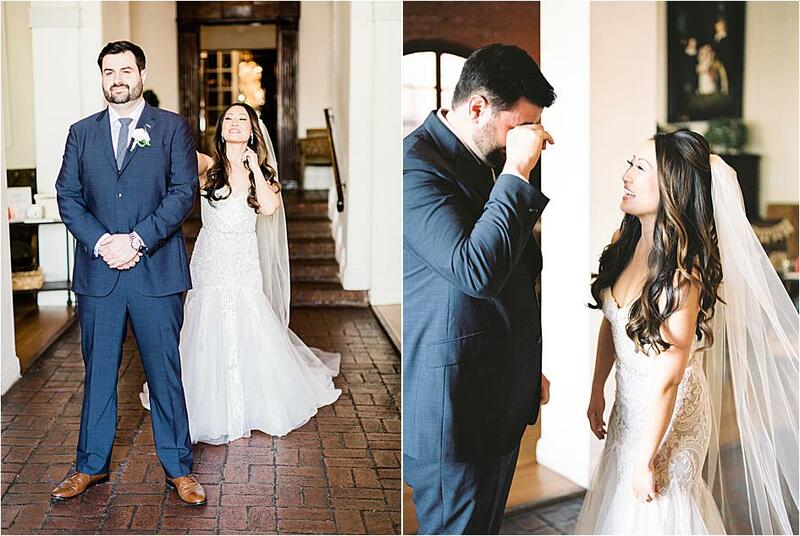 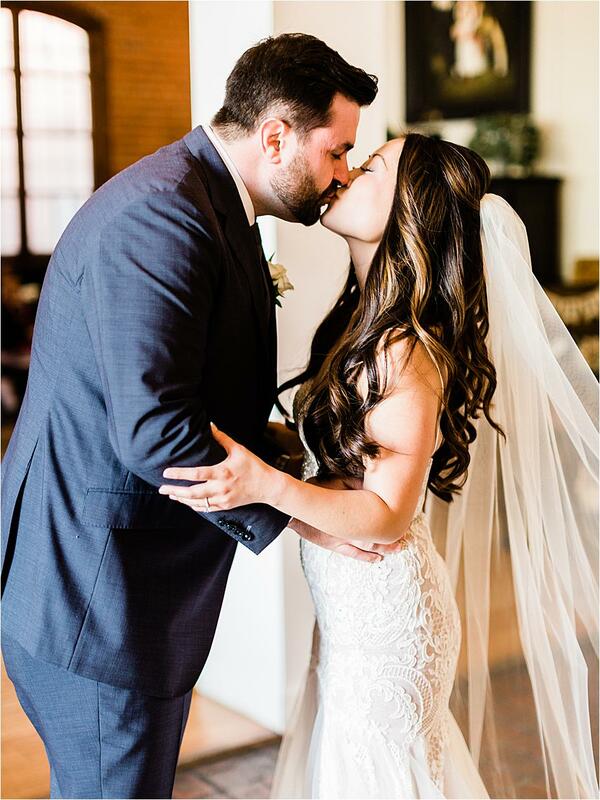 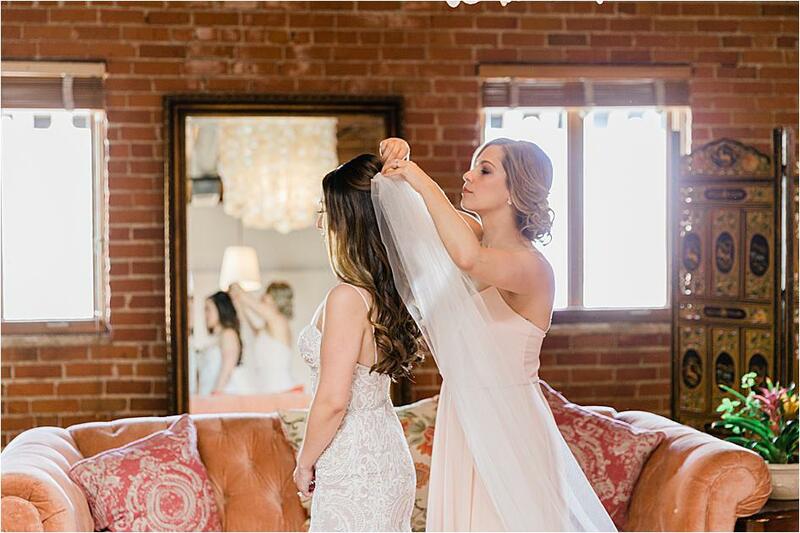 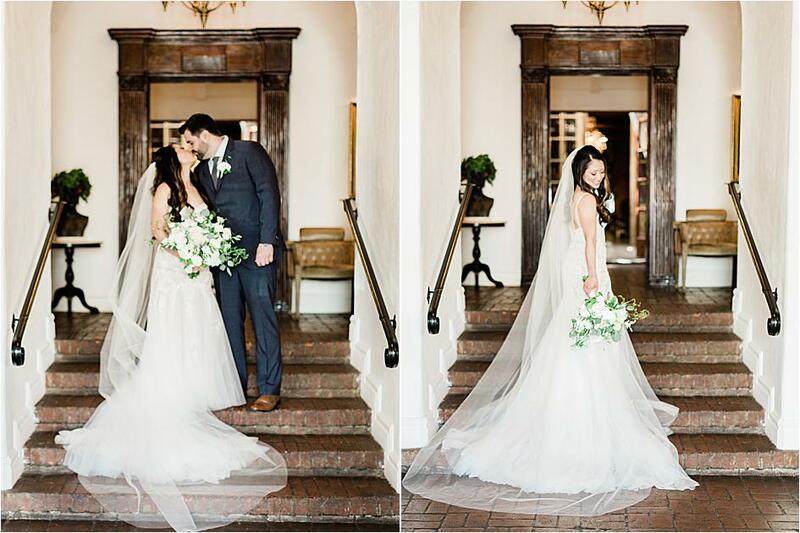 The two knew that they wanted a "cozy, romantic and intimate wedding," and fell in love with the gorgeous architecture of Carondelet House. 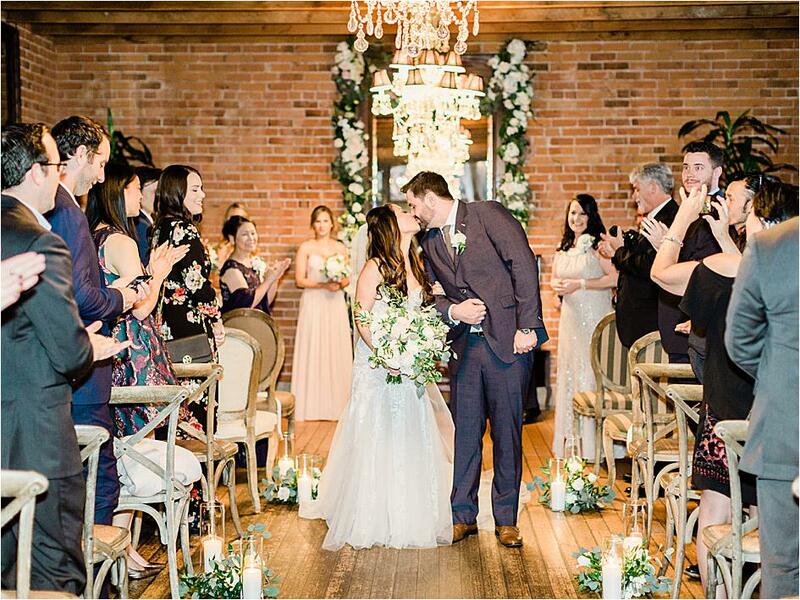 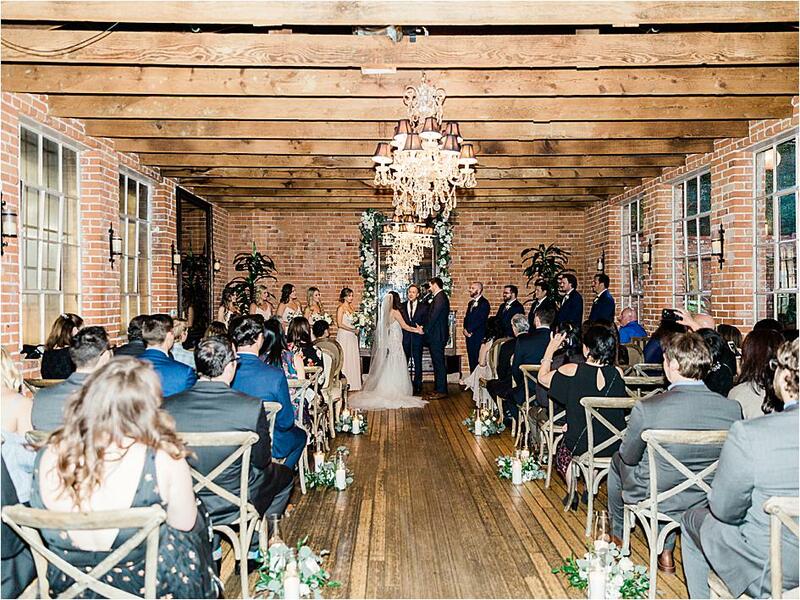 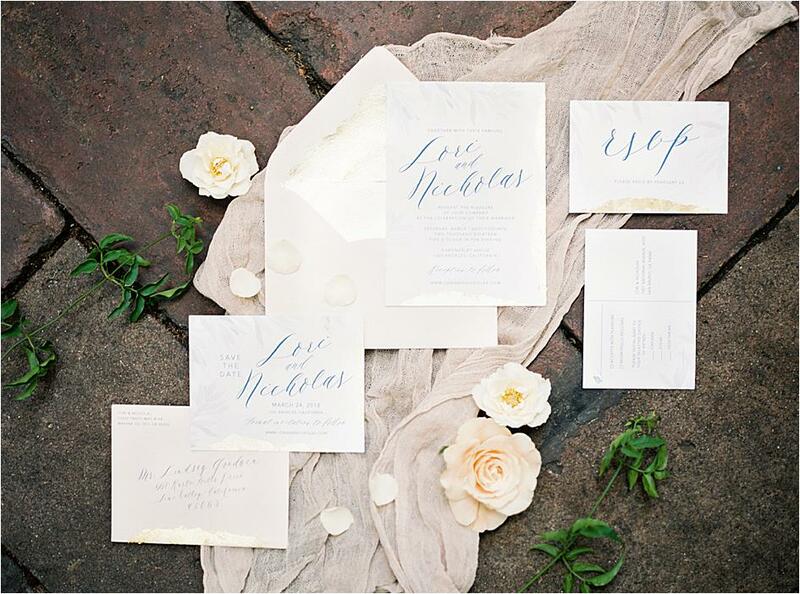 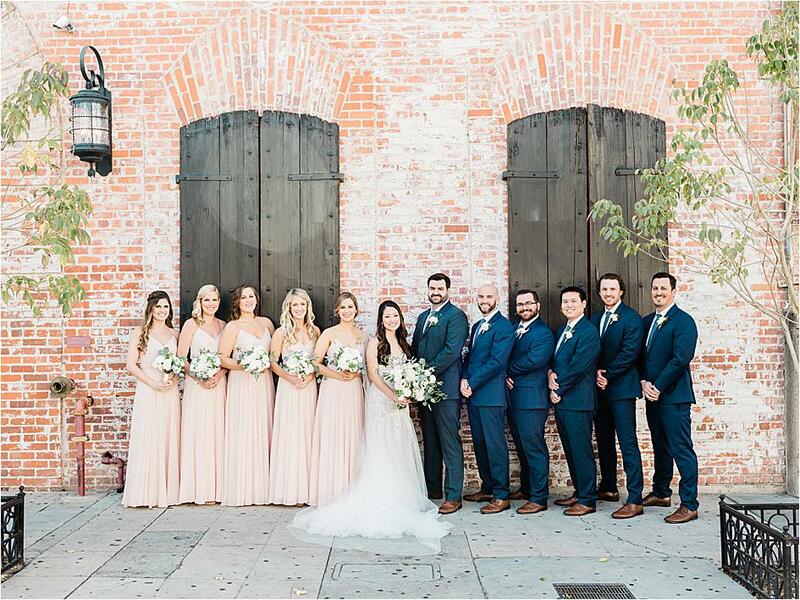 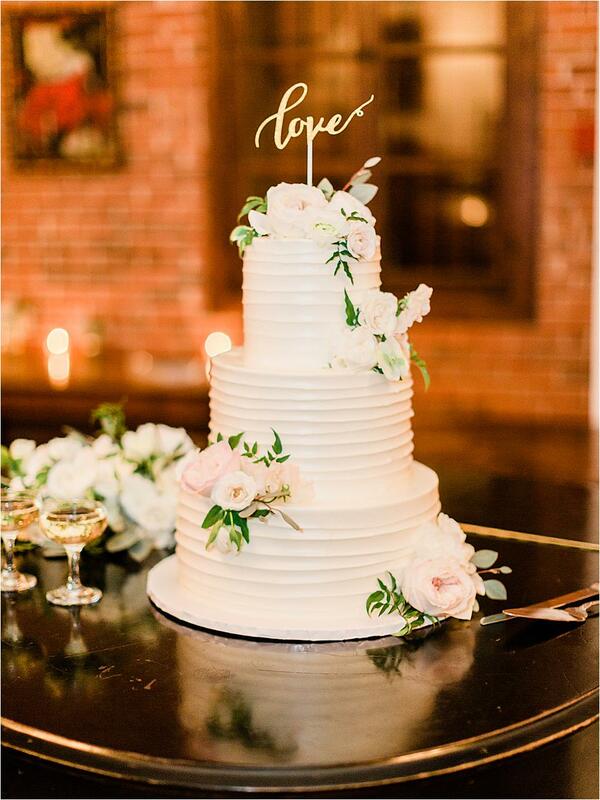 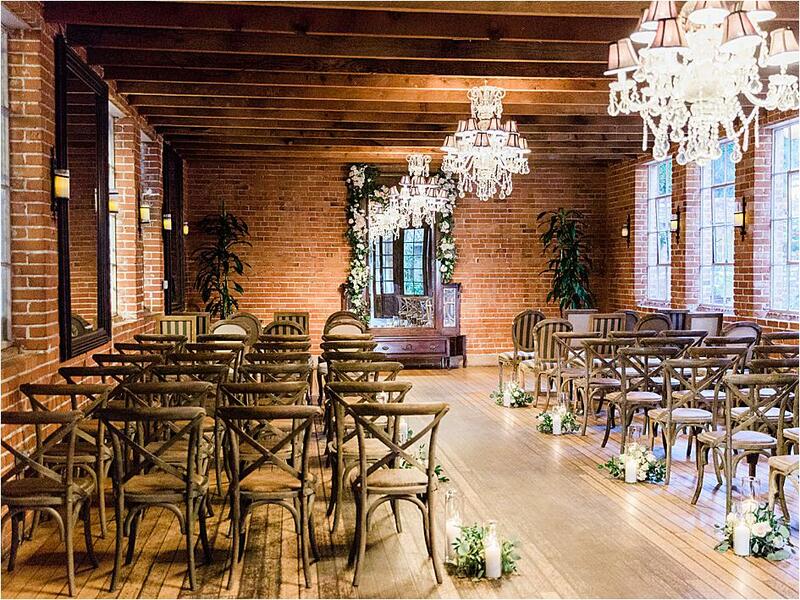 The warm wood and red brick of the venue was accented with hues of blush and navy and paired with romantic candle lighting and gorgeous florals. 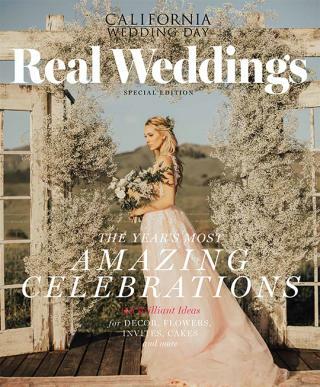 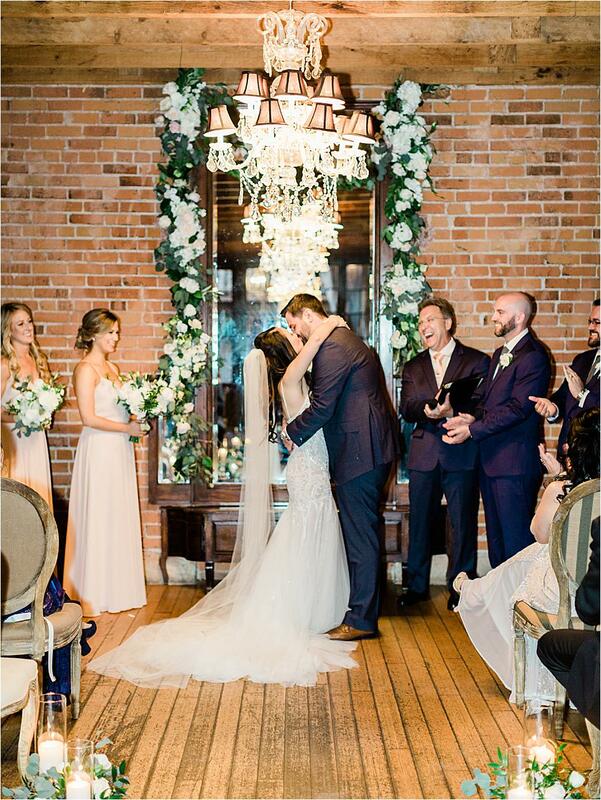 The bride and groom said their "I do's" in front of their closest friends and family beneath a grand chandelier and in front of a beautiful floral garland. 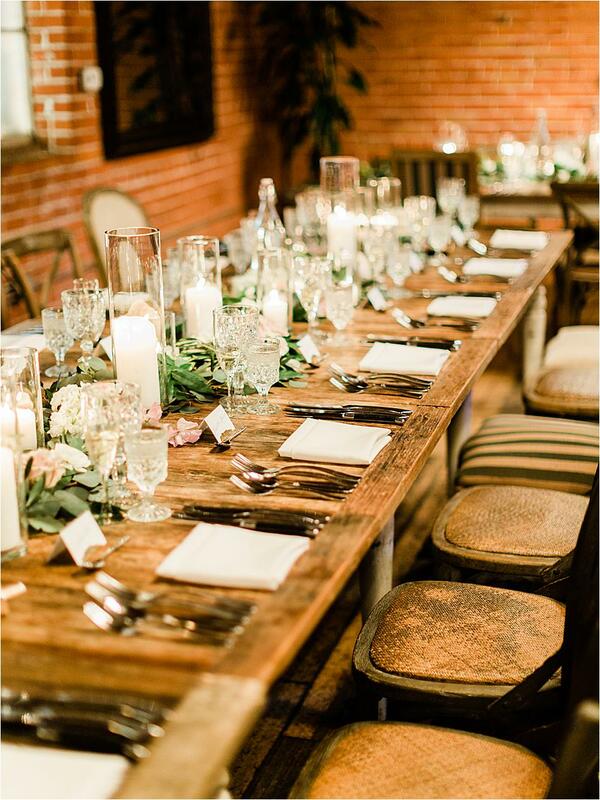 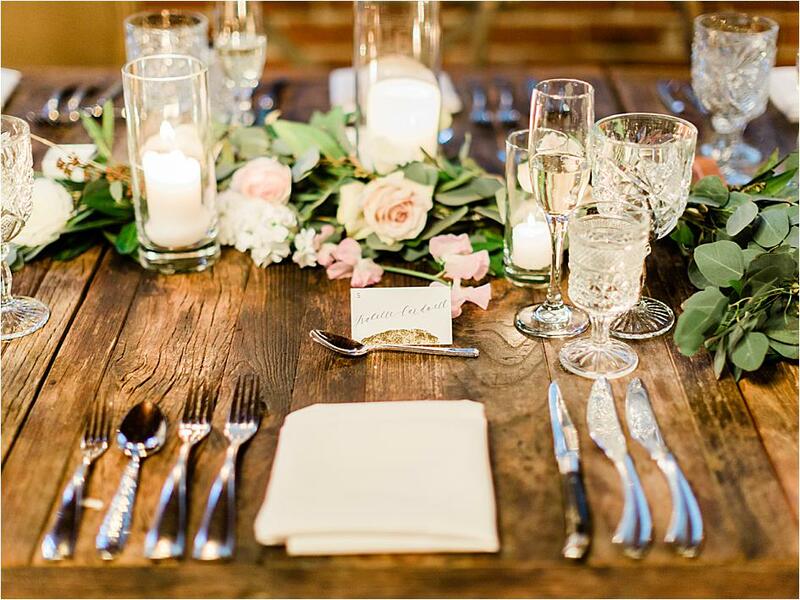 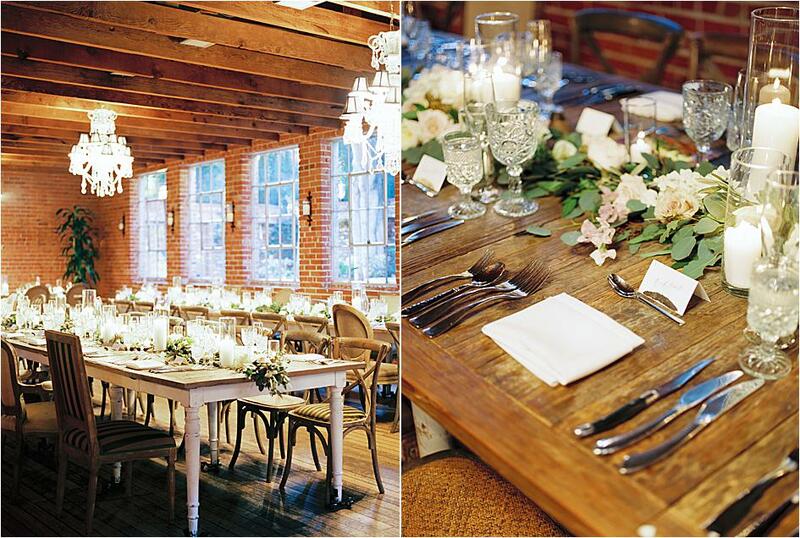 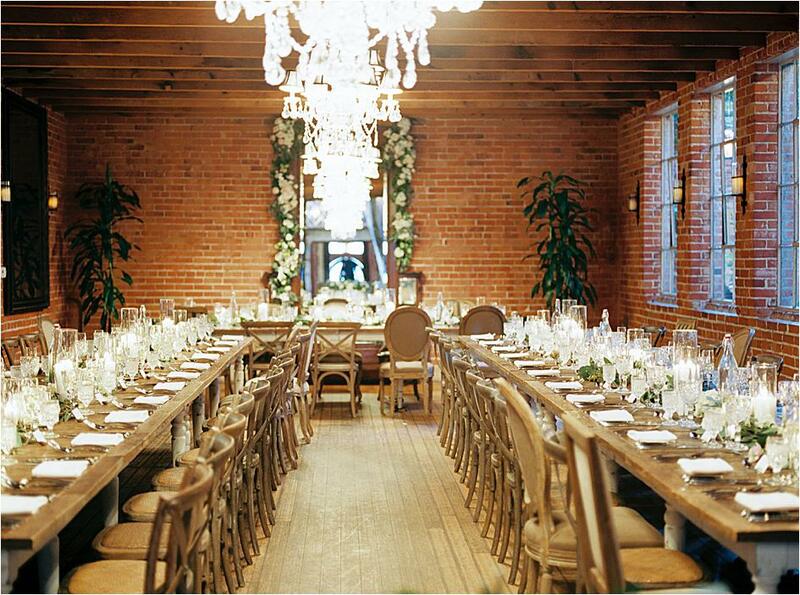 Guests were invited to a stunning reception, where long family-style tables donned pretty flowers and elegant glassware. 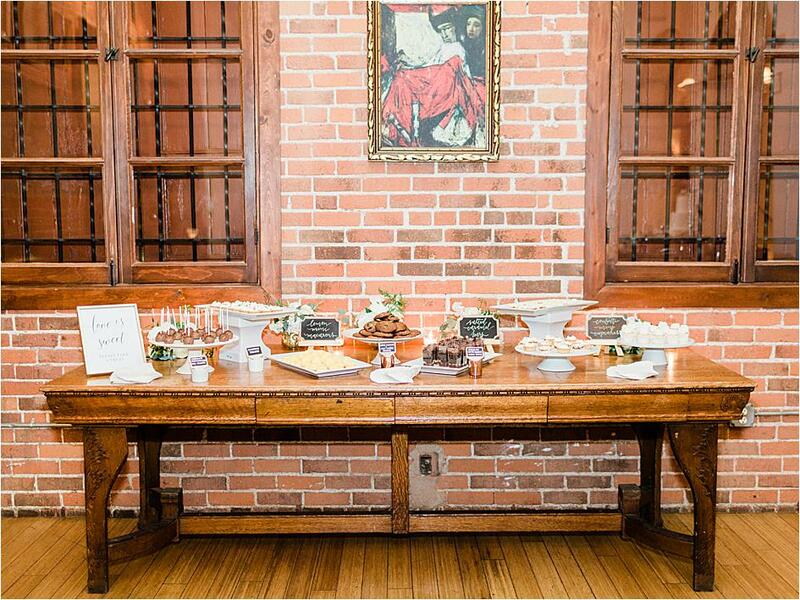 Tres LA Catering provided delicious food for the evening, and guests enjoyed scrumptious desserts and cake from Vanilla Bake Shop before dancing the night away with Lori and Nick. 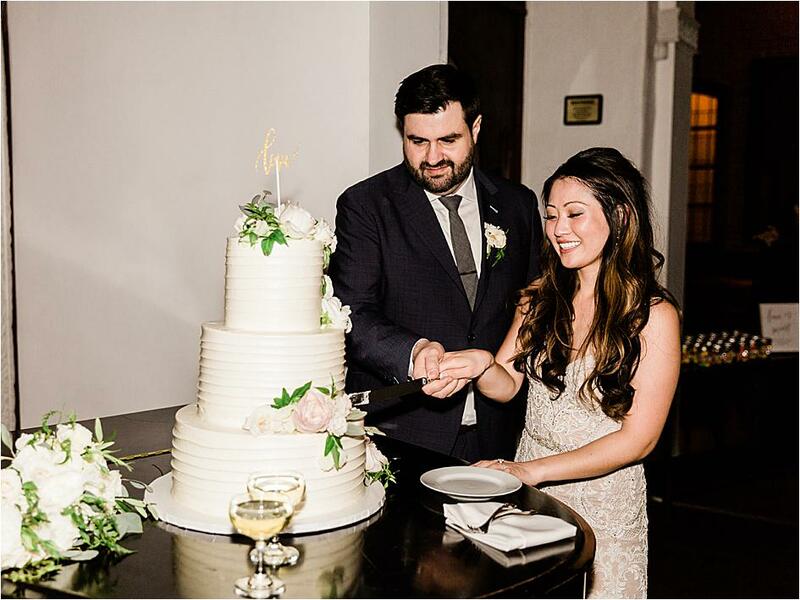 "We really took the idea of making it "our wedding" to heart and didn't follow any specific traditions. 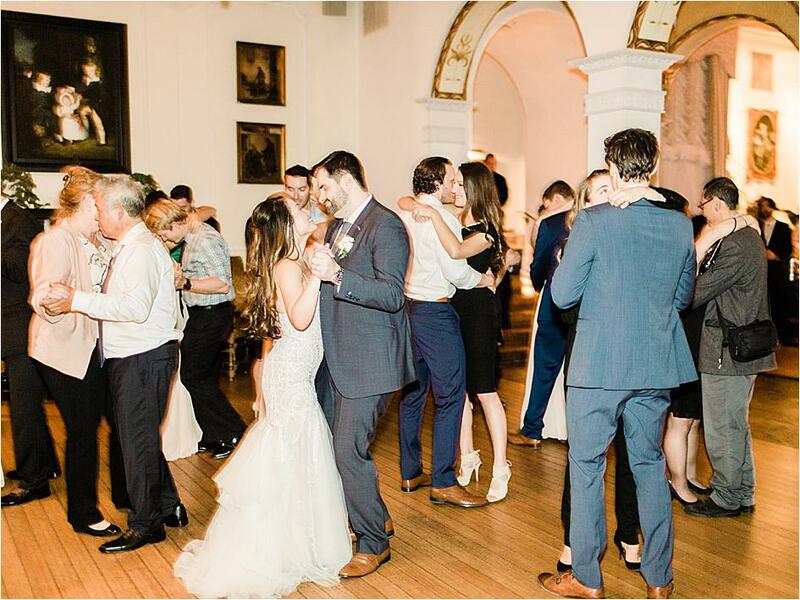 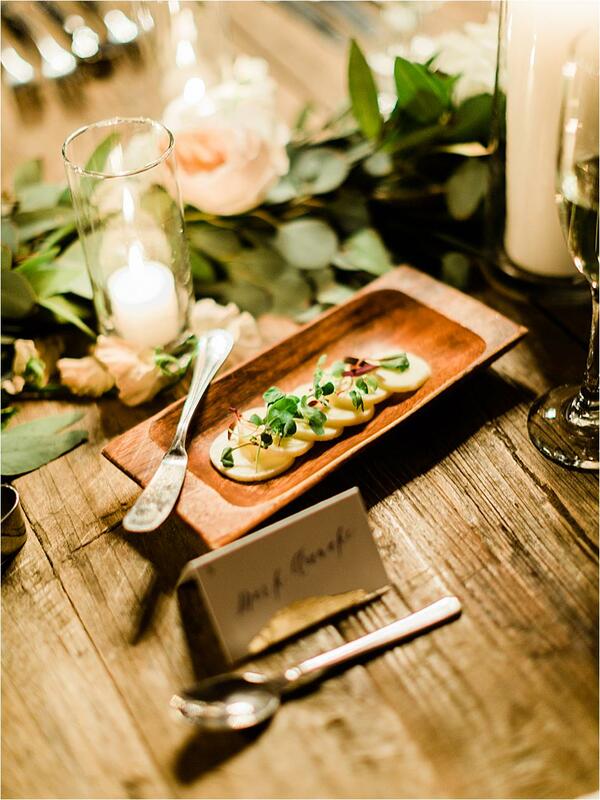 For us it was most important to have an intimate wedding with the people we love, great food, drinks, atmosphere, and to ensure that all our guests had a great time. 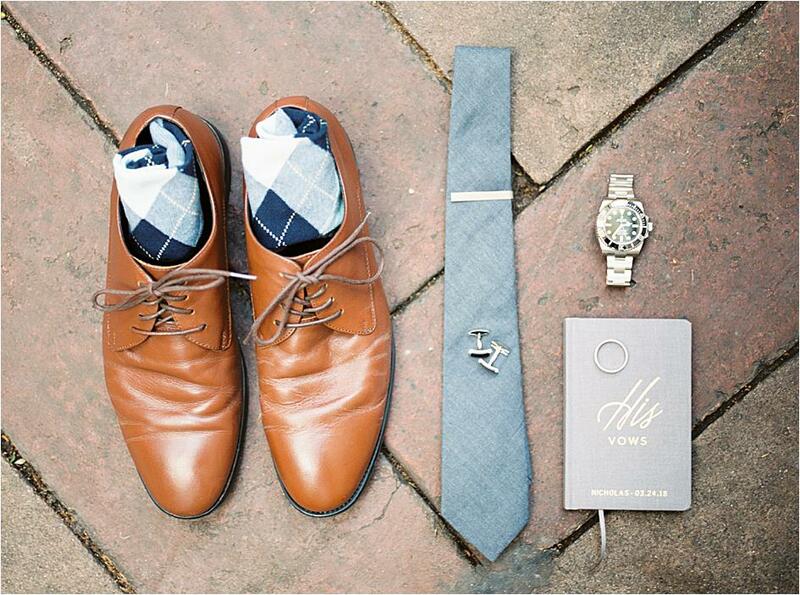 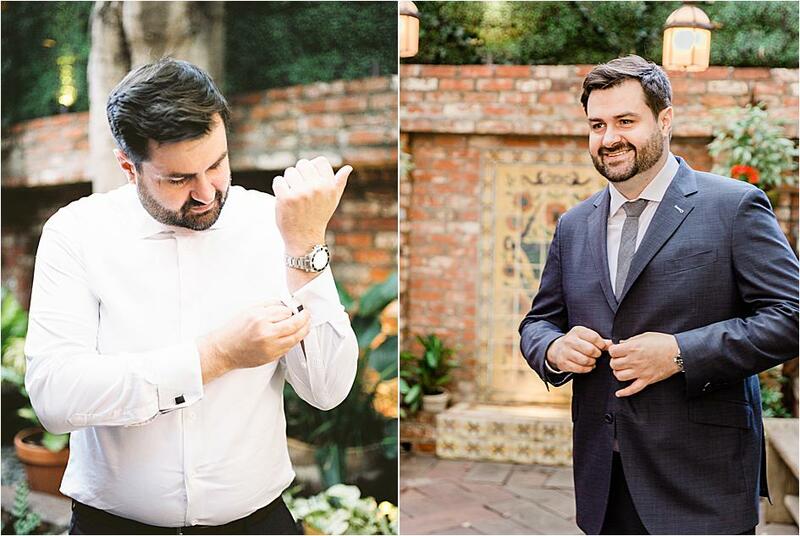 I was wearing my grandmother's engagement ring on my wedding day as well as my ring. 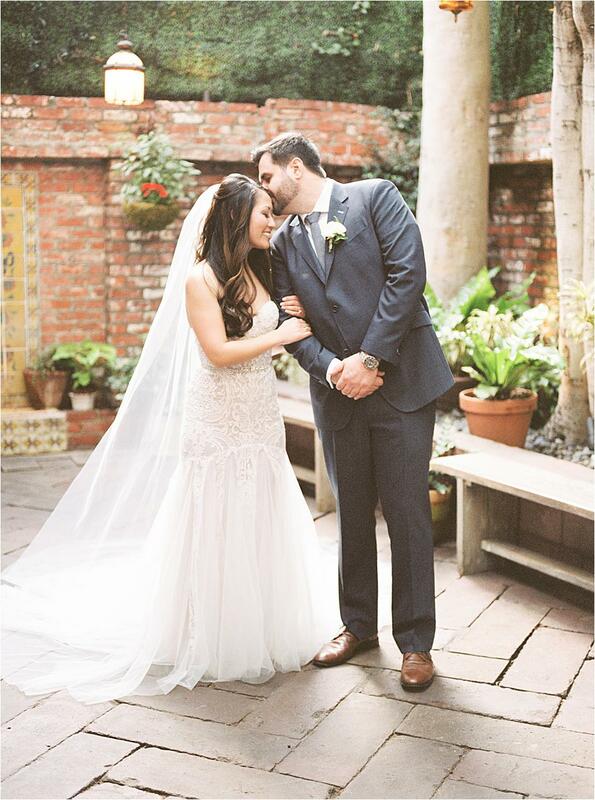 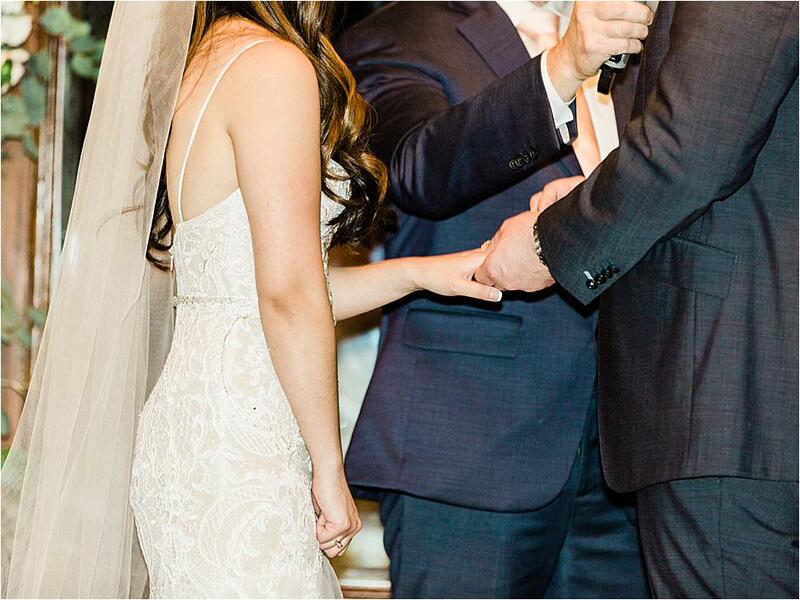 My grandma's engagement ring was so loved over the years that the band was worn down and fairly thin and fragile, it was really special to be able to wear that on my wedding day."